Search Engine Optimization | Yibon Creative Inc.
Search Engine Optimization abbreviated, as “SEO” is the key for your organization/brands/business web-presence. SEO is the process of optimizing a website for search engines. This is an effective Search Engine Marketing strategy. Optimization involves improving a website’s visibility or a particular Web page’s visibility in the organic/un-paid/algorithmic/natural search results. SEO targets different kinds of searches, including industry-specific vertical searches, video searches, academic searches, local searches, and image searches. A high ranking in Search Engine Results Pages (SERPs) is desirable for several reasons. A high ranking means more people will see your site. The increased visibility leads to more hits and consequently greater conversion rates. Search Engine Optimization enables you to reach a global audience. Without SEO, you will only reach the people in your vicinity. Hiring an SEO Company In Malaysia is important because SEO helps bring in targeted Web traffic. Getting a targeted audience is not possible without SEO. SEO is important because it ensures there is long-term positioning. This is because once your site has achieved a high ranking, it will stay there for much longer than with such Internet Marketing techniques as PPC (Pay-Per-Click). SEO is cheaper compared to other Search Engine Marketing techniques. You should hire an SEO Service In Malaysia because SEO gives you flexibility in that you are able to reach the demography you like. You should be skeptical of SEO Services In Malaysia that offers guaranteed terms. According to Google (goo.gl/7ws7lO), the focus of your SEO efforts should not be to “trick” its robots to increase the PageRank of your website. You should be weary of guarantee terms because some of the SEO Services In Malaysia that make these guarantees might be tempted to engage in Black Hat SEO tactics to achieve this. Why Choose Yibon Creative Inc. As Your SEO Agency In Malaysia? You should enlist the services of Yibon Creative Inc. because the company has well-trained and experienced Search Engine Marketing experts. The team is trained continuously since SEO tactics are always changing. The fact that there is an 80% renewal rate for the company’s clients after the first six months should convince you that the company offers quality service. You only need to see the company’s SEO results, testimonials, and case studies to know that this is where you need to be. You will start noticing a rise in your ranking within months. About 95% of the clients start seeing real progress and a return on investment (ROI) before 6 month are over. The SEO Service In Malaysia uses the latest SEO techniques, both on-page and off-page. These include news and article submission. 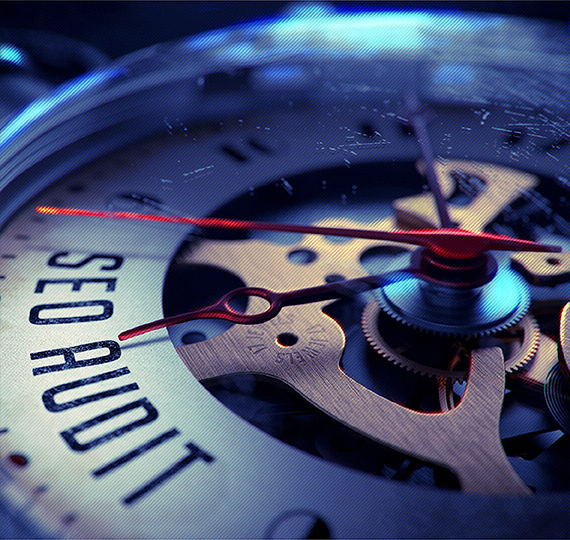 You will get monthly reports to monitor how your SEO campaign is doing. We guarantee the SEO techniques used are White Hat. Hypertext (Anchor Text) is the visible, clickable text in a hyperlink. In modern browsers, it is often blue and underlined. Alt tag generally means the choice tag. It's the HTML tag that informs internet search engine exactly what the images are only for. Internal Links are hyperlinks that point at (target) the same domain as the domain that the link exists on (source). Headings are pieces of HTML code that allow you to make certain words to stand out, which allows readers of your website to see what the page is about immediately, and determine whether or not they want to read it. It also helps tell search engines what your page is about, and when used in conjunction with page title, META description, keywords and keyword targeted content, helps improve search engine ranking for specific keywords and phrases. Canonicalization for SEOs refers to normalizing (redirecting to a single dominant version) multiple URLs. Robots.txt Validation is to can help identify errors that may exist within your current / robots.txt file. It also lists the pages that you've specified to be disallowed. World Wide Web Consortium (W3C) allows internet users to check HTML and XHTML documents for well-formatted markup. Markup validation is an important step towards ensuring the technical quality of web pages. W3C validation is the process of checking a websites code to determine if it follows the formatting standards. Social bookmarks are just like the bookmarks you already have on your private computer. The difference between the two is that social bookmarks are saved to the web where they can be easily shared while private bookmarks are saved to your own browser. An RSS feed is a resource that shows the latest content from a source and the main thing about RSS is that it automatically updated. By submitting an RSS feed to different directories, you provide another way for your blog content to get syndicated and to distribute your backlinks. Helps to get your website listed in the right directories to boost your exposure online. Helps to get your website listed in the local search engine to boost your exposure online. PPT submission is one of the off page techniques of SEO. It is created to get backlinks and it is created in PowerPoint. There are some slide sharing sites where one can submit slides like slideshare, scribd etc. Video submission is helps to submit your videos on top sites and will end up in the video results on search engine offering you an alternative to the standard organic rankings for sites and images. and is a violation of Google’s Webmaster Guidelines. A website that is a replica of an already existing site, used to reduce network traffic (hits on a server) or improve the availability of the original site. Footer links may be devalued by search engines automatically. the 301 redirect is the best method for implementing redirects on a website. A 404 page is what a user sees when they try to reach a non-existent page on your site (because they've clicked on a broken link, the page has been deleted, or they've mistyped a URL). A 404 page is called that because in response to a request for a missing page, webservers send back a HTTP status code of 404 to indicate that a page is not found. Sitemaps (for your website) make navigating your site easier and having an updated sitemap on your site. Sitemaps (for Google & Yahoo!) make navigating your site easier and having an updated sitemap on your site. Google Base helps you publish virtually any kind of information. Simply describe your items on Base to make them as easy as possible for people to find when they search. Video Creation: Based on the information you provide to us about your company, we will create a short PPT, this PPT will be submitted to many PPT submission sites. Now the same PPT will be converted into video and submitted in top video search sites, kindly note the point that if at all you have your own company’s video, please send it to us and we will submit the same. The contract duration is for 12 months minimum. First payment (50% from total) has to be made upon confirmation. Final payment (50% from total) on progressive of the project phase 1 (The 6th month). We promote your website only by ethical methods. We neither use nor endorse techniques that might be labeled Spam. Search Engines may change their criteria of selection without any prior notice. Yibon is not responsible for the resultant effect on Search Engine Rankings. If changes of any kind (design, content, coding, etc.) are made to the website without our knowledge or if the website and web pages are not functional, Yibon would not be liable for the loss of rankings thereby. Where client feedback is required, Yibon expect the client to respond within 3 business days, otherwise this will impact on our time scales.